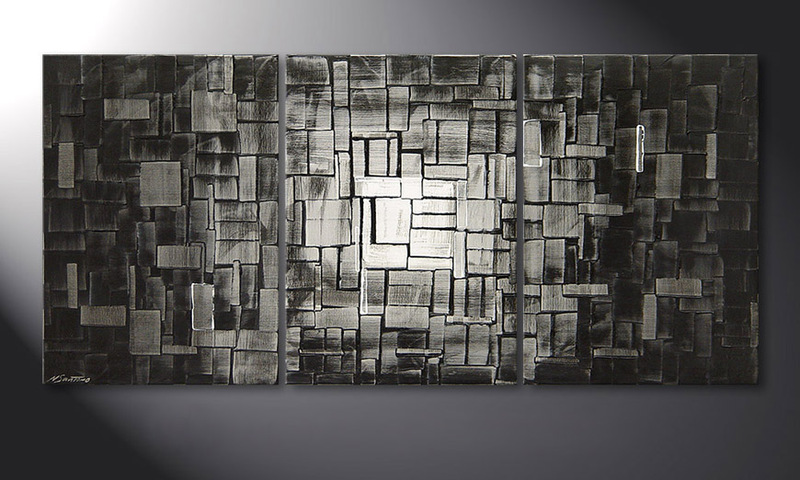 This wall picture Modern Painting "Moon Cubes" 150x70cm is a hand painted, not an art print. The artist Nick Santoro lives and works in Potsdam, the Brandenburg regional capital. Christian Rose (his original name) is head and co-owner of Paintings XXL. He is driven by his ambition for creating outstanding and ever improving wall art. His paintings convince by versatile painting technqiues he has personally developed. While he loves to playfully experiment with form and colour, his true passion however is creating spatial effects which complement most of his paintings. Nick Santoro's wall pictures are enjoying great popularity which is continuously expressed by the multitude of sales and positive customer feedbacks.